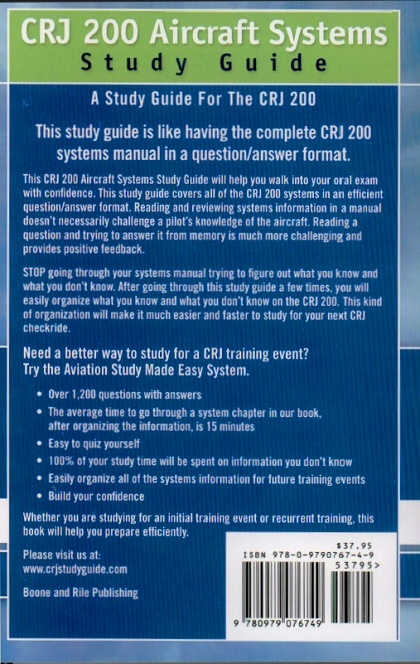 These study guides are like having the complete CRJ 200 or CRJ 700 systems manual in a question/answer format. 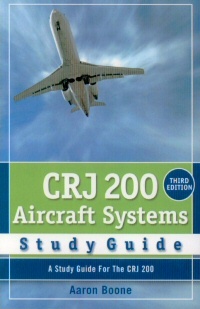 The CRJ 200 or CRJ 700 Aircraft Systems Study Guide will help you walk into your oral exam with confidence. Our study guides cover all of the aircraft systems in an efficient question/answer format. Reading and reviewing systems information in a manual doesn’t necessarily challenge a pilot’s knowledge of the aircraft. Reading a question and trying to answer it from memory is much more challenging and provides positive feedback. Need a better way to study for a CRJ training event? Try the Aviation Study Made Easy System.